Williamsburg, VA is a great place to call home. It’s full of character and culture and has as very mild climate. All these things and more are reason enough to put down stakes in Williamsburg / James City County , but with so many wonderful neighborhoods to choose from it can be tough to decide what one is right for you. That’s why “Mr Williamsburg” writes these Neighborhood Spotlight articles to introduce readers to the pros and cons of the area’s many unique locales. Today, we’re looking at the exciting Landfall At Jamestown neighborhood. Ever heard of the neighborhood, Landfall at Jamestown ? Chances are no unless you are a local .This small neighborhood is nestled alongside Powhatan Creek off of Jamestown Road less than half a mile from Jamestown Settlement, Colonial Parkway, Jamestown Beach and other nearby points of interest. This desirable James City County Williamsburg community will bring out the boater in you! 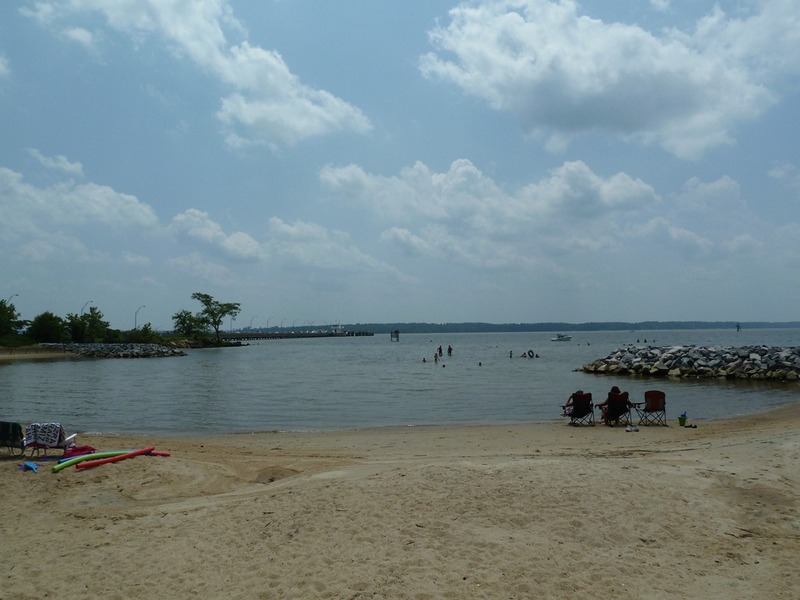 Some of the homes at Landfall offer piers/ waterfront access to Powhatan Creek which leads you out the James River. In the late 1990’s, Landfall was a Parade of Homes showcase neighborhood where some of the areas most respected builders created beautiful custom homes. Landfall is currently home to approximately 90 families with home prices that range from the $500’s to $2 million +. . The community is set on 125 acres and will contain 104 homes once all of the lots are built on. The community offers plenty of open space, beautiful water views and a wonderful set of amenities that include a wooded walking trail near Powhatan Creek , A Community Dock, with access to the James River, Tennis Courts The Landfall Look Out. A great place to watch the birds from a bluff over the stream, Community Pond and path,and plenty of Green Space and woods. There are currently, a select few building lots still available if you like waterfront property yet want to live close to everything that Williamsburg has to offer. One of the most attractive things about Landfall is the privacy. In fact most of the homes either back up to water, to a wooded buffer or to a horse farm. Many of the home sites are an acre or larger and are home to deer, rabbits, geese, ducks, squirrels and birds. The neighborhoods has a community dock with a rack to store kayaks and canoes for homeowners A number of the homes have their own private docks on Powhatan Creek which leads directly to the James River. Depth at these piers is between 2 to 4 feet at mean low tide..
Landfall students are fortunate to attend James City County Schools. Students go to Rawls Byrd Elementary School, Berkeley Middle School and Jamestown High School. For parents desiring private school options there are numerous options to choose from including Walsingham Academy, Hampton Roads Academy, Williamsburg Christian, Providence Classical and more. Landfall has an HOA that offers plenty of opportunities to participate: The HOA manages the tennis courts, and the common areas in the neighborhood as well as the Neighborhood Watch Program and numerous social events and picnics each year. The annual home owner association fee is $804. Although Landfall does not have a pool the nearby Kingswood pool and the First Colony neighborhood pool welcomes Landfall residents and families to join their pool and their award winning swim teams. Over the last year, home sale prices in Fernbrook have ranged from $525,000 to over 2 million.. Directions: From I- 64, Take Exit 242 or 234 to Route 199 toward Williamsburg. Turn onto Jamestown Rd south . Go three miles and turn left into Landfall. Jamestown. It is easily accessible to RT 199 and I-64 for an easy commute to the peninsula, Newport News, Ft Eustis, Langley AFB, Cheatham Annex, USCG Yorktown and other points on the Peninsula. . 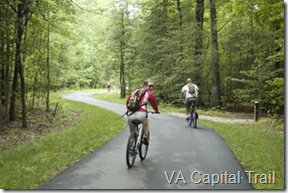 It is a short walk to the picturesque VA Capital Trail for miles of hiking and biking. When complete the VA Capital Trail will be a 50+ mile long, multi-use trail, that will eventually connect the two historic capitals of Jamestown – the site of America’s first permanent English settlement in 1607, and Richmond the current capital of VA.
Eco Discovery Park– right around the corner from Landfall ,The.Jamestown Yacht Basin, is getting underway with new management. The park is renting bikes, canoes, kayaks and paddleboards. Geocaching GPS devices will be available as well as kayak tours. Colonial Pedicab, a local bicycle and taxi company, is offering services. Discovery Park owner Steve Rose adds that a stocked marine store will soon offer refreshments, bait and tackle and other boating and outdoor needs. The marina itself is in full operation and has slips for rent. Boat service is available through Hampton Marine Services. More changes are planned for the future. The park plans to add a café and deck in the upstairs of the main building. The park eventually will feature an environmental learning center and exhibits. The exhibits are slated to start next year along with a system of walking trails. Down the street from Landfall lies the Greensprings Interpretive Trail .Wander along this 3.5-mile nature trail that loops through a landscape of beaver ponds, wetlands and forests. The trail includes sections of wooden boardwalk as well as interpretative signs about the environment, historical events of the early colonists and American Indians and area wildlife. James River and ushers in the waves to shore. The park features a newly restored beach with a beautiful waterfront view of the natural environment and sunsets that will leave you in awe! You can bring your own gas grill or use the park’s charcoal grills to prepare your favorite summer foods in a shaded picnic area. Only a short walk or bike ride away is Jamestown the site of the first permanent English colony in America. On May 13, 1607, one hundred four Englishmen arrived in three small ships and moored them to the trees on this island. The following day the English came ashore–never to leave. There are two sites to see at Jamestown both of which are compelling attractions. At Historic Jamestowne, part of the Colonial National Historic Park, you can explore the original site and watch as Preservation Virginia archeologists excavate the 1607 fort. At Jamestown Settlement, explore a world-class living-history museum that re-creates life in the New World. Step inside a Powhatan village and see how Native Americans lived. Feel the weight as you try on colonial armor. Climb aboard replicas of the three ships that brought the colonists to Virginia in 1607. 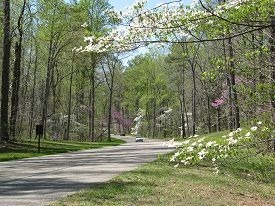 Less than a mile from Landfall at Jamestown is one of the most scenic drives in the U.S. the Colonial Parkway. An integral part of Colonial National Historical Park this 24 mile scenic Colonial-style highway connects Jamestown, Colonial Williamsburg and Yorktown. Its panoramic vistas, gently winding curves, through patches of Pine and Evergreen forest, constantly leaves you with an expectation as to what the next curve may bring forth. Jamestown 4-H Educational Center is located within walking distance to Landfall .It hosts educational, developmental team building and corporate events and 9 weeks of summer camp to 22 units in the state. The 4-H property offers an unobstructed view of the James River, 2 Lodges that each sleep 50, 4 cabins that sleep 30, a Low Ropes Course, swimming pool, newly renovated amphitheater, fishing pier, living shoreline, dining and recreation halls that can be used simultaneously by groups, multiple outdoor activities in a large recreational field typical of summer camps, acres of wooded property shielding us from development and a level of charm one can only experience first hand. 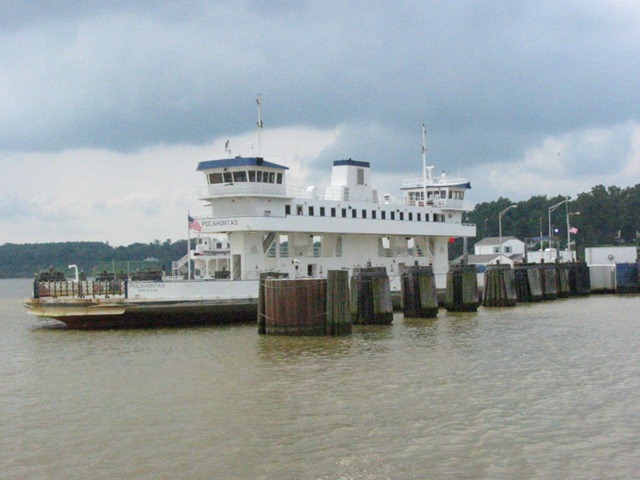 The Jamestown Ferry (also known as the Jamestown-Scotland Ferry) is an automobile and bus ferry service across a navigable portion of the James River in Virginia. It carries State Route 31, connecting Jamestown in James City County with Scotland Wharf in Surry County. The service provides the only vehicle crossing of the river between the James River Bridge downstream at Newport News and the Benjamin Harrison Memorial Bridge upriver near Hopewell. It is toll-free and operated 24 hours a day, 7 days a week by the Virginia Department of Transportation (VDOT). Operations are based at the Scotland Wharf. Talk back: Are you a current or past Landfall resident? We’d love to hear about your experiences in the neighborhood. Please leave your comments below. Keep looking: If you like Landfall , you might also like:Governors Land, First Colony, Kingsmill among others. Do you live in Landfall and want to keep up with home prices in the neighborhood ?